Posted on July 20, 2012 in Front Page and Musings. 0 Comments Tags: Productivity, Sales Productivity, Time Tracking. Productivity is all about getting better results more efficiently, but what’s the point if you can’t actually quantify those results? 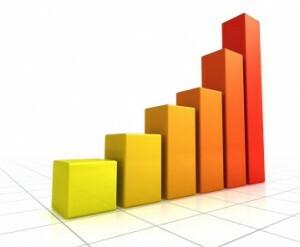 The key to improving your sales productivity is performance metrics. Metrics are about setting clear goals and developing measures for those goals. As you go, you can quantify exactly how much progress you have made or how many goals you’ve hit, whether you are tracking your work hours, number of sales, number of leads, or income. Just like you can see an athlete’s performance from stats alone, breaking it down for yourself allows you to stay away from the guesswork and analyze exactly how productive you’ve been. You can then tweak to get better results more efficiently. Or at least break out of that season-long hitting slump you’ve been in. To measure your productivity, you have to first set specific areas you want to improve. Do you want more sales, more money, more free time, higher paying clients, or all of the above? Then consider all of the steps you have to take to get to your goal and which steps are the most vital to the process. If you were to focus all your efforts solely on getting more sales, you wouldn’t only be measuring the number of sales per day, per week, and per month. You’d also want to measure the number of steps and the time that it took to get to the sale to ensure that you’re working smarter, and not necessarily harder. Be brutal. Cut everything that isn’t essential from the process. Remember the Pareto principle – 20% of what you do earns you 80% of your income. He had your sales operation in mind when he made his observations. As you track your sales productivity, you’ll notice trends. You will be able to identify good trends and bad trends more easily because you’ll have the hard stats right in front of you. Now all that is left is to identify the reason good days were good and bad days were rough. Which daily tasks were more effective in getting you closer to your goal and maximizing your time, and which ones were essentially busy work that did nothing to help you reach your goals? It’s time to tweak your process and start using your time better. Now that you’ve started on the road to a more process-based sales operation, you can quantify results and steps more readily. Within a month or two, you’ll be able to see exactly which steps are giving you the most bang for your time and which ones are just losing you money because of the amount of non goal-oriented time they consume. You can outsource these tasks, automate them with applications, or even get rid of them from your operation entirely. More importantly, you’ll be able to see which steps provide you the most possible efficiency and productivity and get you closer to your goals. Just like without measuring an athlete’s performance, we’d never know what a lousy passer Tim Tebow is, if you aren’t measuring your productivity, you will never know exactly how good you are or how good you can be.